I admittedly get a little “bah-hum-bug” about Valentine’s day. I feel like we just recovered from the holiday whirlwind and expenses just to encounter another one. Nevertheless, I still try to embrace and enjoy it! In this tutorial I am going to show you how to create a fun Valentine’s Day coupon book for your spouse or kids using festive fonts and “wingdings” (more about those later)!! 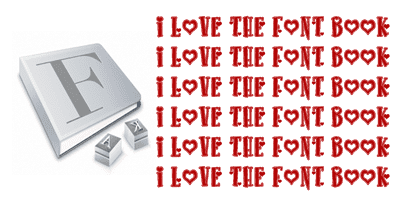 The first thing we need to do is learn more about a fabulous Mac tool called the Font Book. The Font Book allows you to see what fonts are currently loaded on your machine. 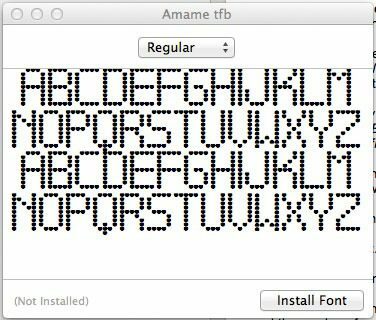 You can also install new fonts that you download using your Font Book. Lets go ahead and download a couple new Valentine’s fonts to install in our Font Book. While there are several free font sites out there, one of my long time favorites is www.dafont.com. Once you are on the site look for the “Holiday” section to the far right of the screen. Under that you will see Valentine’s as an option. After you choose this you are taken to page after page of Valentine’s Day themed fonts. Choose the font or fonts that catch your eye. You will notice that not all fonts are actually letters, some of them are called “wingdings” and are actually symbols. When you type a letter, the output will actually be a symbol instead of a letter. These can be lots of fun! Once you pick out a font, press the download button at the far right. The file will typically download in a .zip and should unzip on its own. If it does not unzip; double-click the zip file until you get to a .ttf file or an .otf file. Those are the most common font file types. When you double click on the .ttf or .otf file these files will open up in your Font Book. (If you are ever looking for your Font Book you can find it under the “Applications” folder). After your new font opens up in the Font Book you should see an “Install Font” button. Go ahead and click that button. Congrats! You have loaded a new font to your computer. That font will be available in any application that uses fonts, e.g. Word, Textedit, Photoshop etc… If your font isn’t showing up in the application you want to use; restart the application to ensure the font is loaded. Download as many fonts as you want for your project. TIP: How do you know what wingding goes with which letter? If you open your Font Book, find the font you are working with. Click on it and the area to the font will show you all the symbols listed from A-Z. Now lets get started on our little Valentine’s Day project. Coupon books are a standby favorite for holidays like this, but let’s take a few minutes to spice it up some. I am going to do this in Word, but you can even do it using Textedit which comes loaded on all Macs. Create a table. Go to Insert > Table in your top Menu Bar. Then in the upper-left hand corner use the Table Icon create a table that is 1 Column and 5 Rows (Rows equal the number of coupons, so however many of those you want). Now use each cell as a place to create your coupon. You can use your new fonts and wingdings to create fun new looks. Keep in mind you can apply color just like you can to any font. You can change the borders or just plan on cutting them off once they are printed. Also don’t forget to use line spacing as a way to adjust the layout of your text. I put these together in Word. I just printed, cut them out, and put them on some fun paper! That’s all there is to it! Now, all you need to do is brainstorm some coupon ideas for all the loved ones in your life! 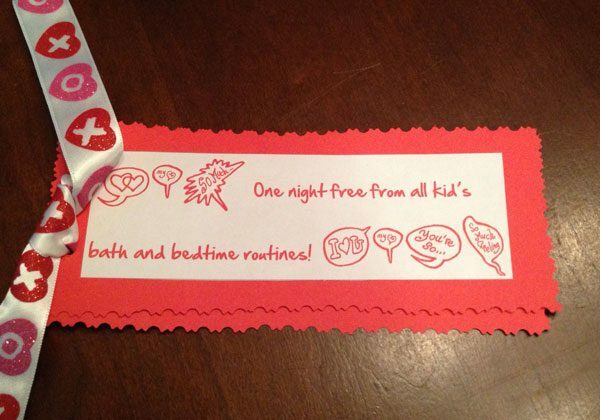 What coupons would you like to receive for Valentine’s Day? 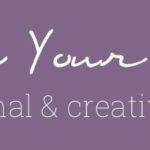 Lauren Rothlisberger blogs and consults over at Get Me Geeky. As a military wife and mom of three girls five years old and under, she loves focusing on technology and productivity and finding new ways to simplify her life. She recently started putting together MacMinis, which are easy to follow videos for Mac users, and also wrote an ebook, Evernote for Moms. Can an All-in-One Computer Replace a Laptop?